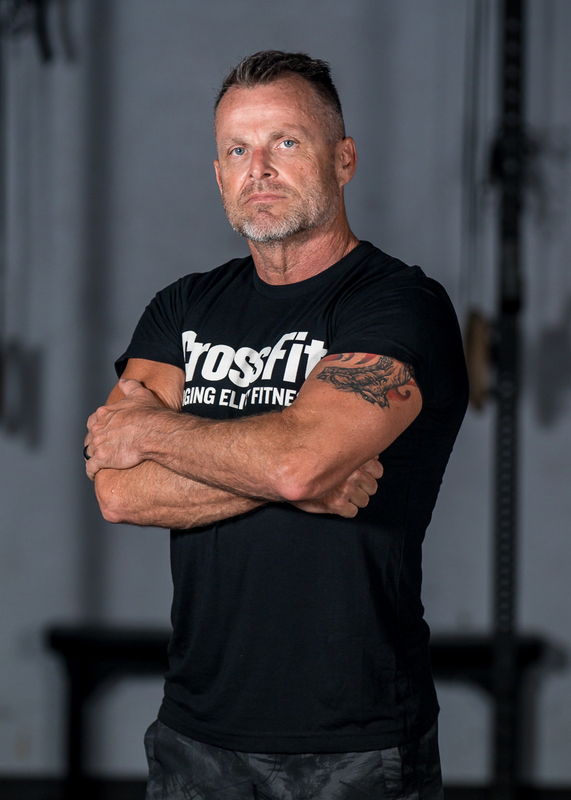 I am a co-owner here at CrossFit Zeal along with Mike Kelley. I met Mike almost two years ago while I was working out and he was training a girl in the trainer area of the globo-gym we were at. The young lady was doing walking lunges holding a weighted barbell over her head. She didn’t look big and muscular, just fit and lean. All I could think was that I wish I was that fit. I spoke to Mike that day and started training with him soon after. The methods he used were all based in CrossFit style, even though I didn’t know what that meant yet. Mike and CrossFit have transformed the way I exercise. I have become much stronger and increased my flexibility also. Mike has a great ability to train athletes of every size and shape. From elite athletes to couch potatoes that are trying to get back into shape. One day, when I heard Mike talking about wanting to open his own CrossFit box, it made me start thinking about the possibility of taking my training and focus to a higher level. I told Mike that I might be interested in helping him finance and run a gym. We started talking about what-if’s and eventually that has developed into a partnership that we are both very excited about. I have recently retired as an Air Traffic Controller, after 31 years of federal service. In anticipation of that I have been trying to become more fit and healthy over the last few years. I hope this new venture will be just the thing to satisfy that desire while allowing me to share my good fortunes in training with others. Mike and I both have a strong desire to help others achieve their fitness goals and we also believe CrossFit is a great vehicle to use. The primary reason is that doing CrossFit has put me in the best shape of my life. Being able to workout in a group of athletes that are all doing more than they once thought possible, is highly motivating. Athletes of different strength, conditioning and experience levels can all workout together, and being able to watch the effort that is put forth makes me work harder. Then after we workout the feeling of mutual respect keeps me coming back for more and also has forged a lot of new friendships. Back Squats. I am proud of how far I have developed in both range of motion and strength. Rowing. Before CF I didn’t know how hard I was supposed to be rowing, now that I know, well, it’s hard. How can any of these be considered a favorite? Yuk. I guess Diane, since I’m getting better at HSPU.